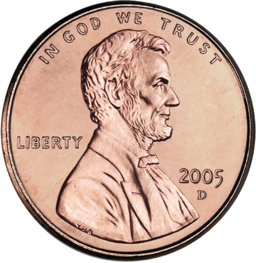 “Not a penny more” or “this is the percentage commission I’m willing to pay out, and not a point more!”- familiar words every business owner has heard in the past from one of the business’ customers. What do you do? Whereas this negotiation approach might be viable in an ongoing business that generates a consistent product or service flow for its revenue, with new customers coming through the door every day, it’s a devastating approach in the deal making world where the business transfer process consists of only one single deal. At times, some business owners set very negative, early telltale signs to an M&A advisor: the sell-side owner is completely insistent on a certain percentage for the M&A advisor’s success fee, not intending to bend under any means – even though various value propositions have been established. However, if for example we were to assume that there is a delta of three percentage points in the success fee between what the business owner is willing to pay versus what the M&A advisor expects for a certain sized deal, then the immediate impact is only 50% – in light of Uncle Sam typically absorbing such; in other words, a three percentage point fee difference translates into a 1.5 percent after-tax net receipt difference. Moreover, a 1.5 percent after-tax net differential is so minute versus the overall deal negotiations – often fluctuating 10% to 15% in deal size and structure – that insisting on preserving such reduction is simply not in any relevant relationship to the final deal negotiations. This behavior becomes even more questionable if one wonders why a business owner would not hire the best M&A advisor obtainable for selling his business – a one-time (final) event to maximize income before retiring. To take the example above, namely, to engage into a debate about a success fees being 1.5% apart versus ultimate deal negotiations fluctuating 10% to 15%, lacks any kind of economic reasoning. The qualifications of the M&A advisor should be the relevant determination, not a 1.5% fee differential. Indeed, most often it’s the owner’s lack of true motivation to sell the business, generating numerous hurdles in the process early on. A non-agreement on fees provides an excellent excuse for the business owner not (having) to proceed with the sale. However, history has shown that the very same business owners often find himself/herself still in the very same situation five years later, unfortunately, most often though the business or market environment has declined resulting in a lower Fair Market Value for the business. Thus, a debate about success fees most often has some very different underlying reasons than the business owner’s focus on maximizing post transaction net earnings. M&A advisors are well advised to recognize such situations well before expending a significant amount of time and resources in preparing a business for sale, as the lack of motivation and willingness to negotiate will ultimately render any deal impossible. A Neumann & Associates, LLC is a professional mergers & acquisitions and business broker firm having assisted business owners and buyers in the business valuation and business transfer process through its affiliations for the past 30 years. With an A+ Better Business Bureau rating and over 5,000 valuations performed through its affiliation, the company has senior trusted professionals with a deep knowledge base in multiple field offices in Connecticut, New York, New Jersey, Pennsylvania, Delaware, Maryland, DC, Virginia, North Carolina and Florida. The firm’s competitive fees are based on successfully completing transactions.